Israel's chief peace negotiator on Thursday accused a key coalition partner of deliberately seeking to sabotage talks with the Palestinians by ramping up settlement construction. Speaking just hours before the arrival of US Secretary of State John Kerry on his second visit within a week, Justice Minister Tzipi Livni accused the far-right national religious Jewish Home of deliberately promoting settlement projects in a bid "to derail" the ongoing negotiations. "More building, more announcements of building in isolated settlements are meant to prevent us reaching peace," she told an audience at Tel Aviv University in remarks broadcast Thursday on public radio. Jewish Home controls the housing ministry, giving it a key role in promoting Israeli construction on land the Palestinians want for a future state. "When one speaks of the Jewish Home's veto power in the government, everyone is concerned with its veto on issues of religion and state," said Livni, whose centrist HaTnuah party is also part of the coalition. 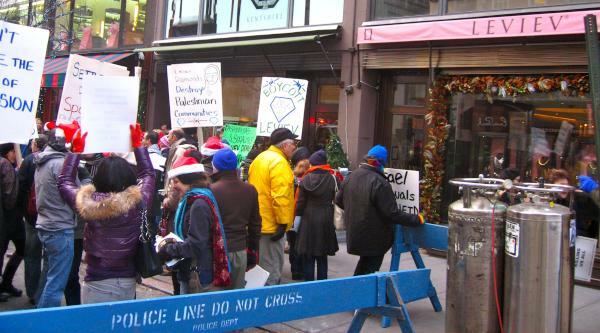 "They have another veto -- with more (settlement) building, they place a veto on peace. They must not be allowed to use this informal veto, this illegitimate veto," she said. Kerry is due to arrive in the evening for another round of shuttle diplomacy aimed at driving forward the peace talks, which have been brought to the brink of collapse by a series of major settlement announcements, enraging the Palestinians. Deputy Foreign Minister Zeev Elkin, of the ultra-nationalist Yisrael Beitenu, said the talks would go nowhere as long as the Palestinians refused to recognize Israel as a Jewish state and to accept an Israeli military presence along the eastern edge of their future homeland, bordering Jordan. 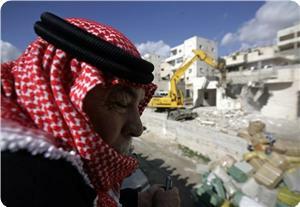 "So far the Palestinians say 'no' to everything; so Kerry can come here many more times but ... I don't think anything is going to change," he told public radio. During the trip, Kerry will meet Netanyahu and President Shimon Peres in Jerusalem and Palestinian president Mahmoud Abbas in Ramallah before heading to Jordan on Friday from where he will continue on to Asia. A senior Israeli military official said on Wednesday that the Israeli army intends to build a perimeter fence along the borderline with Jordan, similar to the one it had built along the border with Egypt. Senior Israeli officer Eran Ophir, who heads the border wall construction projects, told the Hebrew radio that the wall with Egypt would not be the last one to be built by the Israeli army, affirming that there is a plan to build another one on the border with Jordan. Ophir added that the Israeli army finished building the 245-kilometer border wall with Egypt, noting that the wall extends from the Rafah area in the north to Eilat city in the south. He also said that the Israeli army plans to build a fence underwater and deploy naval vessels along the maritime border of Eilat in order to prevent infiltration attempts by African migrants. Building in Ariel settlement, near Salfit, was noticeably accelerating indicating growing expansion activity inside one of the biggest settlements in the West Bank. Activists following up settlement activity in Salfit said that bulldozers were seen leveling land in preparation for building new apartments as trucks loaded with construction material were seen entering the settlement. Khaled Ma’ali, a researcher in settlement activity, said that settlers were building new settlement units in various settlements in Salfit province. He said that Ariel settlement was established in 1978 and is inhabited by 35,000 settlers including 12,000 students studying in Ariel University. The Israeli occupation authorities (IOA) started building a new settlement in Mazra Gharbiya village to the north of Ramallah. Eyewitnesses told the PIC that IOA bulldozers were working for the past week in leveling Palestinian land in Wadi Al-Qara’a area, north of the village. They said that the villagers were stunned at the site of mobile homes set up on that land on Tuesday. Citizens told the PIC reporter that they own documents proving their ownership of the land, adding that the IOA had confiscated the land last month. They said that Jewish settlers had started cultivating the land and paved routes for their motorbikes to facilitate their movement and attacks on villagers. The IOA had declared intention to build thousands of settlement units in the West Bank despite the ongoing negotiations with the Palestinian Authority. Media sources, meanwhile, reported that US secretary of state John Kerry would visit the region on Wednesday and hold talks with PA chief Mahmoud Abbas in Ramallah on Thursday in a bid to support the negotiations process between the PA and the IOA. Israeli war minister Moshe Ya'alon approved during his last four months in office, the construction of 3,000 settlement units in the West Bank, according to data issued by his ministry. 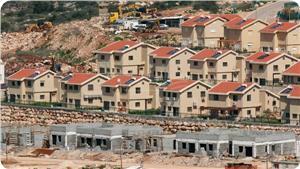 Israeli Haaretz newspaper, quoting a report for Peace Now, said on Tuesday that Ya'alon approved the construction of three thousand settlement units during the period between April and July of this year, adding that a large portion of these units will be established in settlements located in the center of the West Bank and outside the large settlement blocs. "During that period, Ya'alon approved the construction of 386 housing units in Beit El settlement, 277 units in Elei Zahav, 290 units in the Har Ephraim neighborhood of Kedumim, 550 units in Talmon, and a total of 984 units in two areas of Givat Ze'ev," according to Haaretz. Ya'alon also approved expanding the boundaries of the settlement of Shiloh, making further construction there possible, and a nature reserve was appended to the settlement of Negohot. The Civil Administration is now considering whether to change the definition of the area as a nature reserve, which would enable construction on the land. Despite Israel's declarations that construction will be limited only to settlement blocs, many buildings have been built in the outposts adjacent to the separation wall. According to information made available to Peace Now, Ehud Barak, the former war minister, had approved 6,200 new settlement units in the West Bank during his last four months in office, between November last year and until last March. Haaretz said that Ya'alon, since taking office, has been organizing lots of tours in the settlements and their regional councils. He was described by the head the Regional Council of Gush Etzion as "the true friend of settlement." Peace Now movement said in its report that Ya’alon has “become a rubber stamp of the Yesha Council of Settlements,” and despite the attempts to cover up many of the most controversial expansions "we have uncovered plans to build 9,000 settlement units." The World Zionist Organization’s Settlement Division proposed a plan to establish new Jewish towns and expand rural communities in the central Galilee, the Israeli daily Haaretz reported Tuesday. 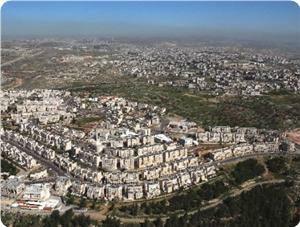 The plan’s intention is to “achieve demographic balance with the area’s Arabs” according to the report. According to a letter from the Settlement Division to Israeli planning firms, the plan’s objective is to bring 100,000 Jewish residents to the Galilee by offering houses that “will attract a stable Jewish population and create a meaningful demographic balance." The plan emphasized the construction of single-family homes instead of apartment buildings. The Haaretz also said that the plan calls for the expansion of existing rural communities “beyond what the national master plan allows,” without indicating exactly what that means. 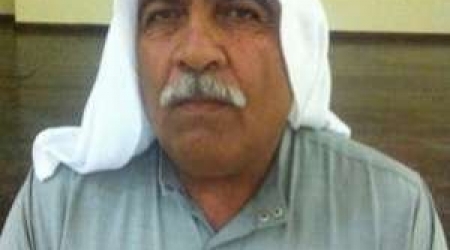 Chariman of the Tur'an Local Council, Imad Dahla, expressed his reasons for opposing the plan, explaining that one of the planned communities, Shibolet, would be constructed directly north of Tur'an, a predominantly Palestinian city in the northern 1948 occupied territories, preventing its future expansion. 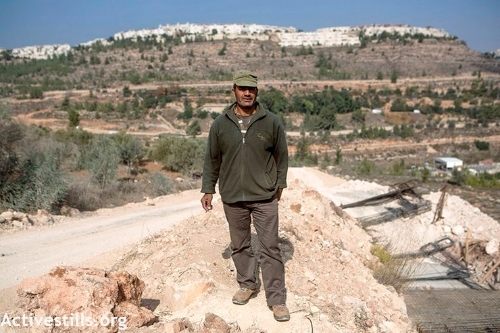 Dahla explained, “To the east of us is a quarry that ruins our quality of life, to the north is the plan for Shibolet, to the west is a nature reserve and to the south they are laying a gas pipeline that blocks our economic development.” He added that the WZO’s letter had defined the plan as “an expression of Israeli sovereignty,” which Dahla said was a “racist expression,” according to Haaretz. Arab Knesset member Ahmed Tibi said that the Israeli plan to build 20,000 settlement units in the West Bank and Jerusalem has never been frozen as the Israeli government had declared earlier to revive the peace talks with the Palestinian Authority. In a press release, Tibi cited as evidence that on the far right of an illustration of the plan on the Israeli housing ministry's website, there is a word in Hebrew referring that it is still "active" and not frozen. 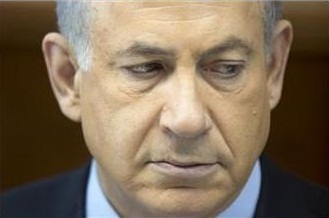 "The tender remained on the housing ministry's website until November 28, which was its deadline, and was not deleted or withdrawn, and furthermore, many Jewish businessmen and companies submitted their tenders officially to the government, which makes everything declared by Netanyahu just an attempt to pool the wool over others' eyes," the Knesset member underlined. Tibi's remarks vindicated further what Israeli minister of housing Uri Ariel, himself, had confirmed about two weeks ago that the planning procedures for the construction of thousands of settlement units in the West Bank were not suspended as the office of premier Benjamin Netanyahu claimed lately. "There is no freeze on construction activities in the settlements of the West Bank and Jerusalem, even during the current negotiations with the Palestinians," Ariel told the Hebrew radio. 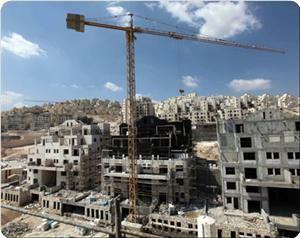 Israeli Central Bureau of Statistics reported an increase of 5.5% in settlement construction in the West Bank since the beginning of 2013 compared to the corresponding time frame in 2012, despite the fact that 2013 has witnessed a resumption of “peace” between Palestinian and Israeli authorities. 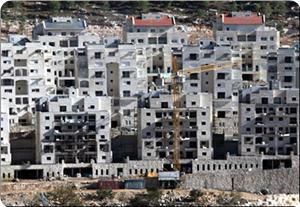 About 32,290 construction sites for new housing units were erected this year across the occupied West Bank, Hebrew media said. 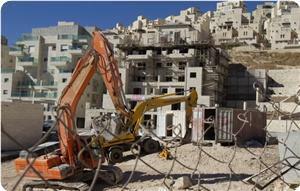 The number of settlement projects in the West Bank rose by nearly 130% compared to 2012, according to statistics released Thursday. "I am delighted that construction starts exceeded predictions and erroneous statements in different media outlets," Housing and Construction Minister Uri Ariel said Thursday, stressing that his ministry planned to further increase building across the country in the coming year. Israeli housing and construction minister Uri Ariel has vowed to continue building in occupied Jerusalem and the West Bank with full force. Ariel, who was laying down the foundation stone of an educational institute in Itamar settlement to the southeast of Nablus on Wednesday evening, said that most members of the Israeli cabinet are with him in his views. The electronic website of Hebrew daily Ma’ariv quoted the minister as saying that he will endorse the construction of thousands of houses in Jerusalem and Judea and Samaria (the West Bank). Ariel had recently announced intention to build 24,000 housing units in Jerusalem and the West Bank but his premier Benjamin Netanyahu suspended the plan so as not to increase the isolation of Israel and affect negotiations with the Palestinians. Israel is working on applying two colonizing schemes in Negev south of occupied Palestine, Atiya Alaasm ,the head of Regional Council of Arab villages and the Supreme Arabs committee, said. He explained that Israel occupation undertook Prawer plan which will result in the destruction of more than 35 unrecognized villages in Al-Naqab and the forced expulsion and confinement of more than 70,000 Palestinian Bedouins. 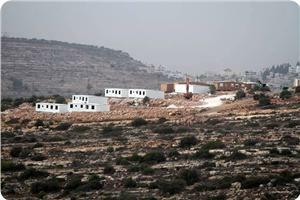 Israel will replace Bedouin villages with settlements units. He noted that Israel plans to build 20 settlement units instead of Arab villages in Negev, " these schemes epitomizes the nature of Israel’s policy; Israeli-Jewish demographic expansion and Palestinian-Arab demographic containment," he said. He went on saying that these plans go back to 1948, since when Israel applies several types of plans that all seeks to displace Palestinians from their homeland. In 2012 Israel destroyed 1200 houses in Negev , and this number increased in 2013. 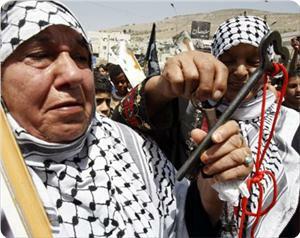 Injustice, humiliation and forced displacement are a recurring theme in Palestine’s history. "Palestinian people will oppose, resist and work against the continuous assault that our communities, across Palestine face'" Alaasm said. Israeli occupation authorities (IOA) have approved recently the construction of 800 new settler units in several illegal settlements in occupied West Bank, Hebrew media sources revealed Monday. 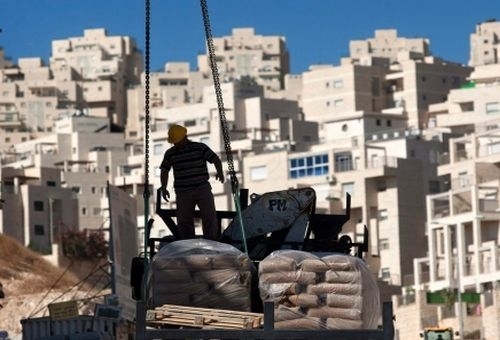 The construction of 800 homes has been approved by the so called Civil Administration, thirty percent of the new units will be built in Novi Prat, a suburb of the Maale Adumim settlement, Israeli daily Haaretz has reported. As many as 94 new units will be installed in the Salit outpost in the Jordan Valley and another 30 in the Shilo settlement, the Hebrew paper reported. Meanwhile, the IOA continued construction work for the expansion of Atnaúal settlement built on Palestinian lands in al-Khalil. Eyewitnesses confirmed that the IOF escalated construction work for number of settlement units in Atnaúal settlement established at the expense of Palestinian villages in al-Khalil. It should be mentioned that 840 settlement units have been approved in al-Khalil, most of which were already established in different parts of Al-Khalil province. 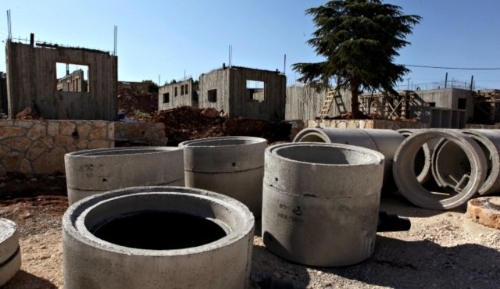 Hebrew media sources revealed that the Israeli Ministry of Housing and the Land Authority published tenders to build about 300 new settlement units in the Jewish neighborhood of Gilo, built on Palestinian lands south of occupied Jerusalem. Kol Ha'ir Newspaper said the applicants for tenders are scheduled to hold a tour in the region on December 17 to see the space allocated for the construction. The paper quoted officials in the Israel Land Authority as saying that the construction operations, which will include residential units and parking lots, will take place in five different regions near Gilo on an area of more than 40 thousand square meters. It added that the average minimum of these tenders will be around 2.5 million U.S. dollars. 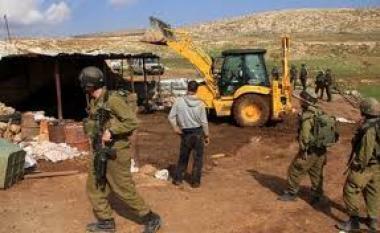 Israeli Soldiers invaded on Thursday morning [November 21, 2013] the Deerat village, east of Yatta in the southern West Bank city of Hebron, and illegally confiscated seven Dunams of Palestinian lands in order to pave a road for Jewish settlers. Coordinator of the Popular Committee Against the Wall and Settlements in Hebron Rateb Jabour stated that the army carried maps showing the new planned settler-only road that would split the village and lead to the destruction of several houses. 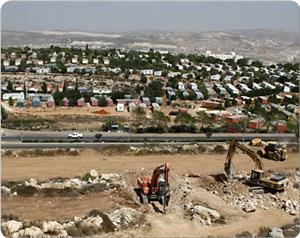 Jabour added that the homes are part of the village, but Israel considers them to be out of the zoning area. 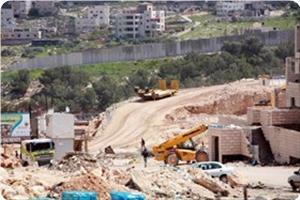 The road would lead to the illegal annexation of thousands of Dunams of Palestinian lands in the region. Also on Thursday, soldiers kidnapped Mohannad Al-Mohtaseb, 17 years of age, from the Old City of Hebron. Minister of Justice in Gaza Mohammed Abul Sabh has affirmed that the Palestinian refugees’ right of return to their homeland was inalienable and none could surrender it. Abul Sabh was speaking on Wednesday in response to French president Francois Hollande’s statement that the Palestinian Authority in Ramallah could give up the right of return. 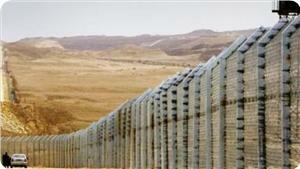 “Everyone has the right to freedom of movement and residence within the borders of each State. 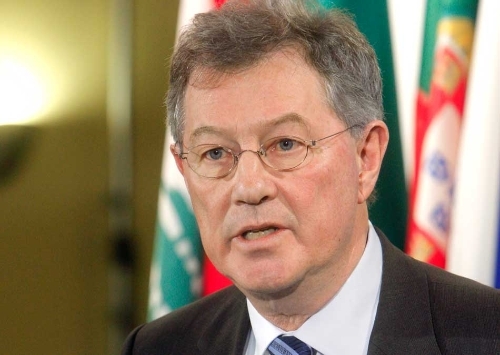 The minister said that the right of return is the individual and collective right of more than six million Palestinian refugees who were displaced by occupation. He underlined that the right of return is “a national, sacred right” according to the international law and the international declaration of human rights that was issued on 10th December 1948. Abul Sabh said that RoR was not for bargaining or negotiations and could not be surrendered or replaced or amended. Hollande revealed in statements published by Hebrew daily Ha’aretz that the PA leadership had displayed flexibility regarding RoR in return for its demand of halting Israeli settlement activity. The Israeli occupation authorities (IOA) allowed the continuation of building more housing units and expansion of settlements south of Al-Khalil without announcing it. Ratib Jabour, the coordinator of popular committees against the wall in Yatta to the south of Al-Khalil, told the PIC on Monday that construction works in four settlements near Yatta did not stop over the past few days. He said that trucks loaded with construction materials were seen entering those settlements while new housing units were being built. The activist said that more Palestinian land lots were confiscated in the area to allow room for the new expansion, adding that bulldozing those lands and building over them was progressing without announcement.